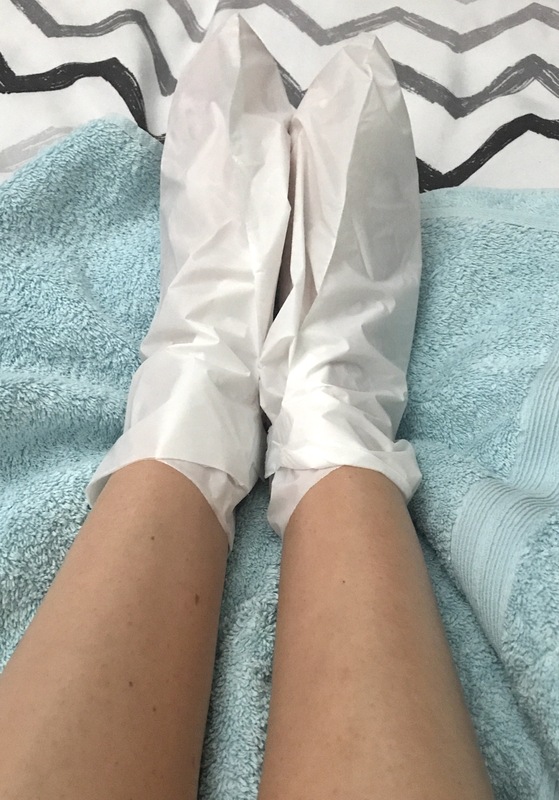 My friend Ellie came round with a little care package when I needed a little pick me up last month and in that was the face mask I have done a post on already (Garnier sheet mask) and this foot mask. 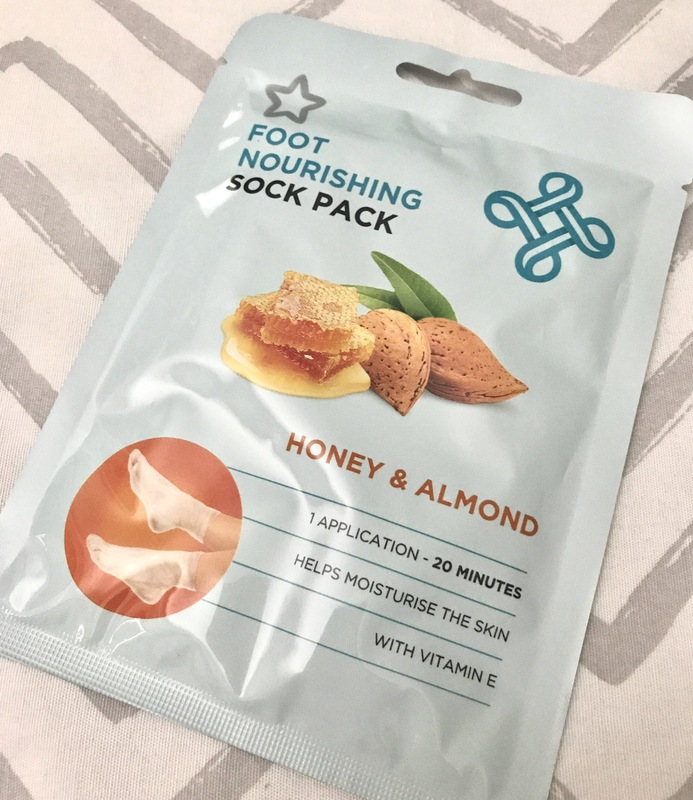 This is the Superdrug Honey and Almond foot nourishing sock pack. They claim to help moisturise the skin as they contain vitamin e. Helps to soothe and soften dry, rough and cracked heels. I opened the pack and pulled the socks out. They’re joined together so using scissors I cut them in half and opened each end and slid them onto my feet. Peeling the sticker that says open I stuck the sock round so they were secure. I popped a towel round the socks to let them get warm. Although not the nicest feeling in the world initially I think it felt quite nice. The directions said to leave the socks on for 20 minutes, I left them on for about half hour whilst watching pretty little liars. My feet definitely felt nourished and moisturised afterwards, I also did gel polish afterwards so really felt pampered!! If you’re looking for a treat for the feet this summer I definitely recommend this. Although not something I could do weekly it is definitely something I will do on a pamper day! Have you tried something similar and have any recommendations? I felt like the luckiest person in the world last month when I received a package from my lovely friend Debra-Bow… this lovely lady needs no introduction you almost certainly know who she is. In this package was some Kiss nails, a highlighter and shockingly the No7 Cleansing brush. We have had many a conversation on what’s app… and we got talking about cleansing brushes. I used to have the Clarisonic but gave it to a friend after it just not working for me. I tried, oh I tried, it worked for awhile, then it just made me so red I looked like I had fallen asleep in the garden with no SPF on. Not good. I was a little scared to use the No7 brush BUT.. this is what I thought. First of, I love it’s battery powered, no charging cables! Simple. It’s light and the replacement brush heads are super cheap too (two heads for £8…. bargain!!). The brush head has long ish bristles and are so soft on the skin. 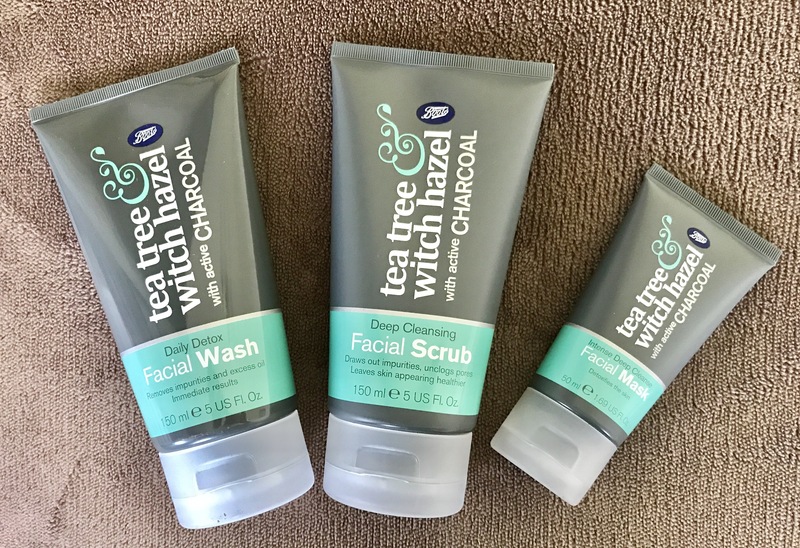 After first use I was hooked, I tried it with a few different cleansers and loved it with my C&P but after a trip to Boots I bought the Tea Tree Witch Hazel and active Charcoal wash, which I have done a post on. Well it was a game changer, massage the cleanser in, wet the brush and go in circular motions around my face. Wow! The brush has two speeds, push the button once and it’s a slowish speed, push again and it speeds up. I like it on the first setting as I find on the fastest one water and cleanser go flying off everywhere haha. My skin feels so soft and smooth every time I use this. I was using the charcoal cleanser with the brush after my first cleanse in the evening every day, however, my skin couldn’t handle it everyday so I use it minimum once a week usually on a Sunday for a deep clean and during the week if I have worn heavier make up. When I first started using the brush I did have a breakout but I think was more hormonal. The breakout cleared quickly due to really deep cleansing my skin. If you’re thinking of getting a face brush of some kind I highly recommend this brush being your first stop, as I think it’ll be your only stop and you’ll be saving the pennies. I wish I got this brush first instead of the Clarisonic. I know I know I’ve always said I don’t like sheet masks but I have a confession I tried one a couple of weeks ago and thought it was alright. I didn’t mention it as I thought it was a fluke. My lovely friend Ellie popped over with a little care package and in it was this mask. I love Lavender and I am certainly feeling tired and my skin is looking it. I hopped in the bath (not literally as that’s dangerous) plopped a twilight bath bomb in and put this on my face. Once you peel the blue layer away it is really… I don’t want to say it… but moist. It’s moist. And slippy. I positioned it on my face and laid back… I usually try and potter about with these masks on and end up looking like something out of a scary film but I thoroughly enjoyed using this mask!! 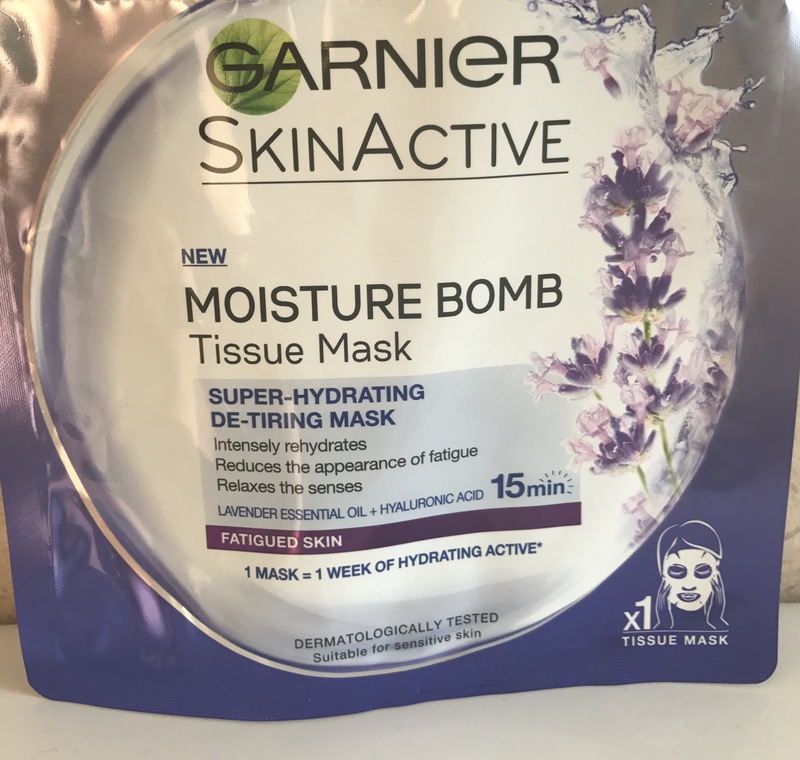 The mask claims to hydrate for one week… well it says… Super hydrating, de-tiring mask… Intensely rehydrates, reduces the appearance of fatigue and relaxes the senses. I must admit it did all those!! 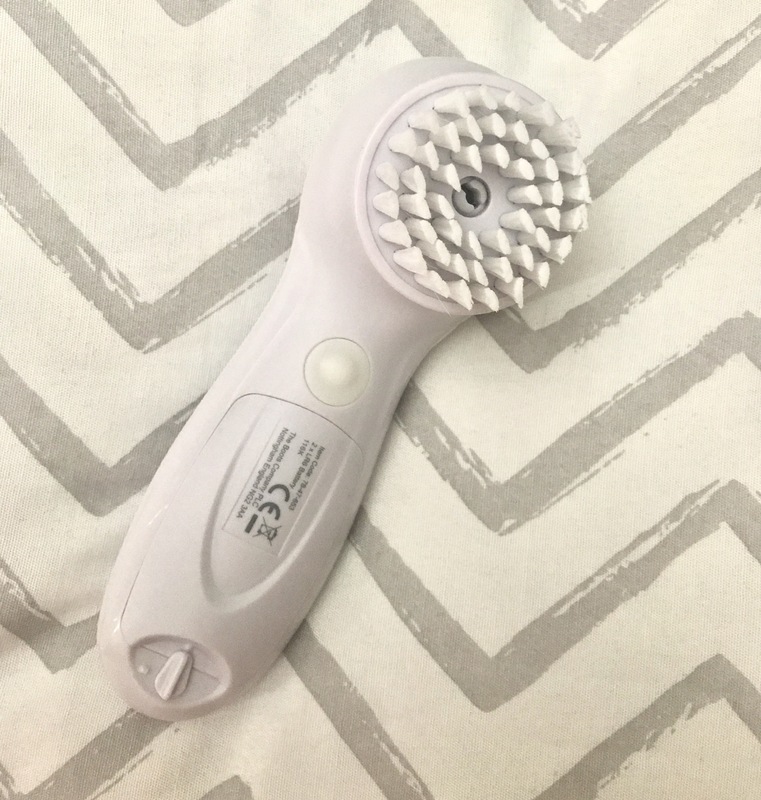 I looked and felt so much more relaxed and less tired after using this. I had seen a few reviews of this facial wash and I kept thinking I should try it out. When I went into boots for cotton pads… I came out with these 3… and a few other bits (but ssshhh don’t tell James haha) I was really excited as I had tried the face mask before and liked it. I am loyal to my Elemis mask but I do like to dabble and try other masks. I like a good pore detox. I have done this review slightly different as I want to give you my first impression and after using it for at least 2 weeks. First Impression – I oddly like the colour of this, it made my skin feel super clean. I used this with just my hands this time but I want to try it with the No7 cleansing brush (review on that soon). It smells pleasant enough too and it was a great second cleanse. It is really creamy and goes white/grey when massaged into the skin. Skin felt a little dry after but I can deal with that as my skin feels super clean! After 2 weeks of using every day – ok I didn’t use it every day… I think I had a day or two where I was lazy with Skincare. I have noticed a huge difference with this face wash and LOVE using it with the No7 cleansing brush as feels like it really cleans. I have noticed my blackheads have minimised too. First Impression – I didn’t use this the same day as the facial wash I used this in the morning the day after and my skin felt smooth after but pretty much same as the wash for me. 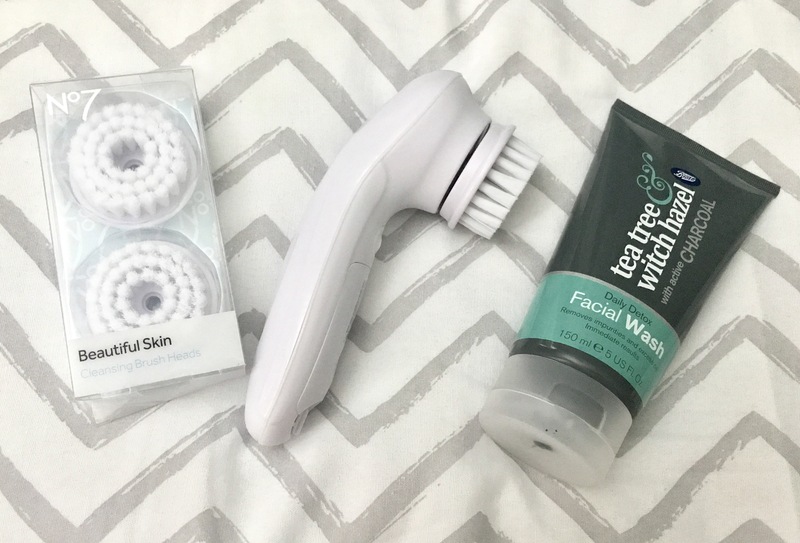 After using twice a week for 2 weeks – my face is definitely smoother and I think possibly a mixture of the face wash but my skin has cleared loads. I have been drinking more water as per my August Goals. So I guess this is all a factor. First Impression – I used this on my nose, chin and forehead along with my Elemis mask on the rest of my face. My pores on my nose definitely looked less noticeable after first use. It’s nothing incredible but it’s good!! After using twice a week after the scrub – again I think a mixture of drinking more water and the other products… my skin looks clearer!! I love the feel of my skin after using this. Considering this range is reasonably priced I really like it and I think it is doing a great job so far. I especially like the wash!! Just a quick post today, mainly want to write these down so if I don’t stick to them I have the shame of updating you all. I wanted to set some goals, after a really crappy July I wanted to push myself to get back to being healthy (ish) I am not saying I will be going to the gym and having green smoothies every morning because I never stick to that. Drink more water – cliche but an important one! Going to try and just drink water… and tea… I am not giving up tea! Move more – again a classic for these goal posts right? However, with what happened last month and with my ongoing coccyx condition some days are harder than others. I am going to aim to walk a little every day, working my way up again. Eat less chocolate and the naughty stuff – Chocolate gives me migraines and breakouts.. surely this should be enough to put me off eating it. Be more active on Twitter – I am quite active in general but I don’t promote my blog as much as I see others doing so feel I should a bit more. Meal plan a bit better and stick to it. I try to write a meal plan and buy the shopping according to that but we always end up changing our minds and sometimes food goes to waste which I hate. Get more fruit and vegetables in me, I am not too bad but I don’t get my 5 a day in a normal day unless I have the motivation to make a smoothie and eat a salad for dinner. I should be more conscious about what I eat as I am with Jacob. NOT SPEND… I left this one for last because… it will be the hardest. 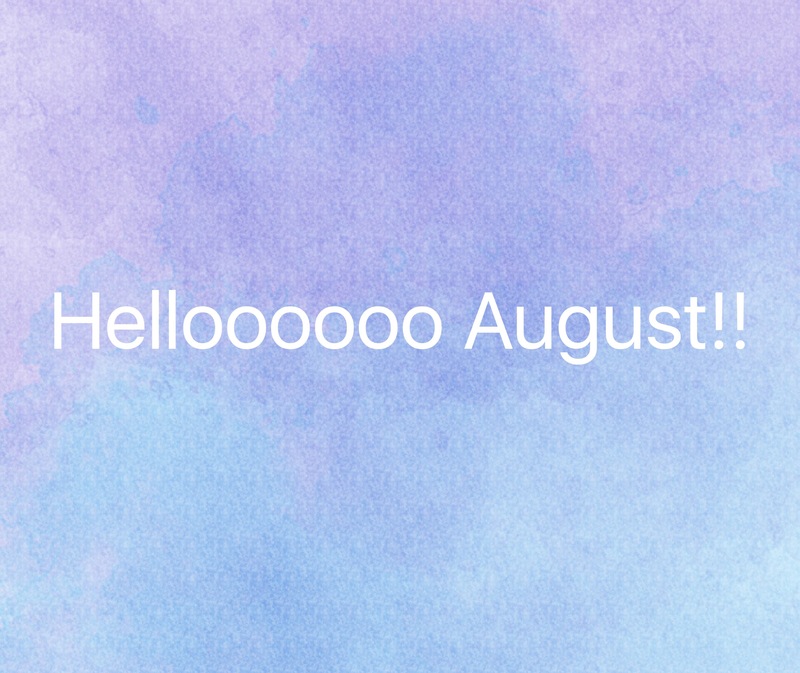 I am a sucker for a trip to Boots… but I am really trying not to spend this month, I have enough skincare and make up to get me through until Christmas… If I do well this month by not spending it may extend further….